Plans for a controversial bike trail that would have traversed a world-famous scenic highway through two of Canada's best-loved national parks have been scrapped. Plans for a controversial bike trail that would have paralleled a world-famous scenic highway through two of Canada's best-loved national parks have been scrapped. 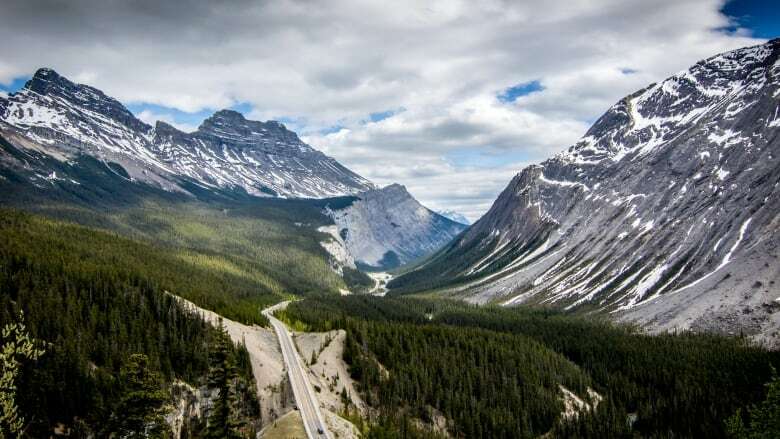 Parks Canada will not proceed with the proposed Icefields Parkway trail between Banff and Jasper, the federal agency announced in a news release Wednesday. The decision was made after consultation with stakeholder groups, Indigenous partners and members of the public, Parks Canada said in a statement. Conceptual designs for the cycling network were not well-received during public feedback sessions. "Preliminary feedback from the consultation process expressed concerns over the potential environmental impact and high cost associated with the project," the agency said in the release. The most recent federal budget contained $66 million to develop the 107-kilometre bike trail from the Jasper townsite to the Columbia Icefields along the parkway. The proposal included plans to eventually extend the trail all the way to Banff. The budget for the project was set at $86 million, with about $20 million coming from Parks Canada's capital budget. Funding originally earmarked for the project will be re-allocated to support other priority areas within Parks Canada. Parks Canada planning documents from 2016, obtained under freedom-of-information legislation, suggested that the proposed trail raised a host of complications, from damage to wildlife habitat to safety concerns and increased development pressure.